Customize your visit by purchasing access only for the exhibits that you're interested in! Easy access and less hassle, great way of planning your travel with planned booking and assurance having a ticket reserved. 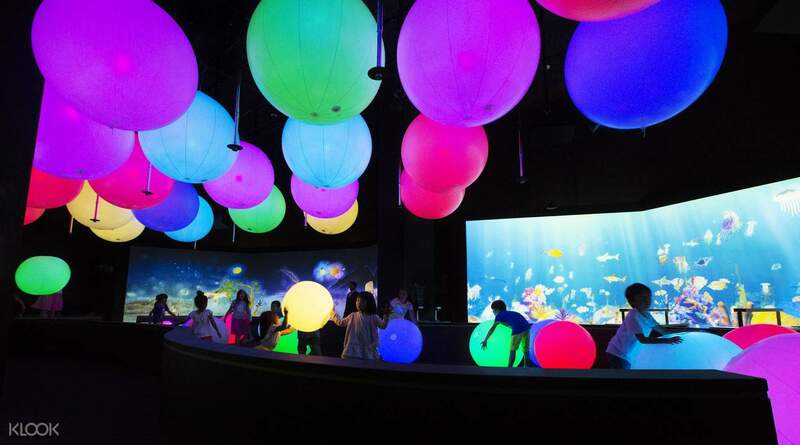 Get ready for a day full of fun and learning with a visit to Singapore's ArtScience Museum at Marina Bay Sands! Since its opening in February 2011, the ArtScience Museum has become a must-visit destination for both locals and tourists alike thanks to its iconic lotus-shape, its massive size of 6,000 square meters filled with 21 different gallery spaces, and fascinating exhibits! 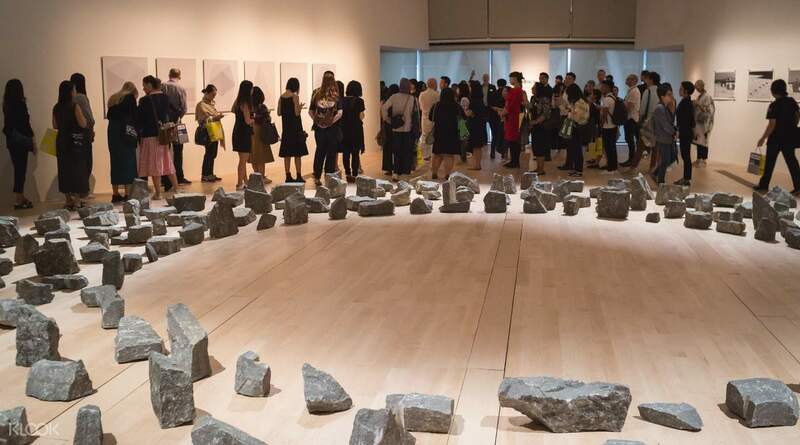 Catch unique exhibitions that are sure to quench any thirst for knowledge. Discover the FUTURE WORLD: Where Art Meets Science, a long-term exhibit popular among families with children. See the 16 different digital installations inside this kid-friendly gallery and watch in awe as the interactive displays take you on a full immersion. Travel via Bifrost and enter the exotic landscape of Wakanda, Doctor Strange’s Light Portal, and more! See through the eyes of Ant-Man and the Wasp and unleash your inner superhero. But the Wind Walkers––Theo Jansen’s technological marvels––have also come to steal Thor’s thunder. Walk among Strandbeests and gaze upon the larger-than-life creatures of art and advanced engineering! Become a spectator of Theo Jansen’s world-famous moving sculptures and complete your walkthrough at the ArtScience Museum’s collection of wonders. After all the fun and games at the Park and the urban life at the Town, retreat to the Sanctuary. This is a more tranquil area where you can fully focus and interpret Future World as a whole. The vibe of this installation let you reconnect to your inner soul and be calm. This is great after a busy day touring around Singapore, the Sanctuary can be meditative. As you walk or sit, notice that it forms a circle. At the walls are cherry blossoms that bloom and then its petals are scattered all over. This represents life and death, perfect for this installation called, Impermanent Life. There is no better way to end your trip to Future World at ArtScience Museum in Singapore than entering the Space gallery. Truly a futuristic ensemble it features the Crystal Universe installation, where you will have a sense of the vastness of the universe. Admire both its size and magnitude, this installation uses 170,000 LED and 4D Vision Technology to give you that idea of being closer to the stars and planets. The Space gallery also let you use a smart device that can trigger you on changing the landscape of the universe. Walk into its vastness, be awed. After all the fun and games at the Park and the urban life at the Town, retreat to the Sanctuary. This is a more tranquil area where you can fully focus and interpret Future World as a whole. The vibe of this installation let you reconnect to your inner soul and be calm. This is great after a busy day touring around Singapore, the Sanctuary can be meditative. As you walk or sit, notice that it forms a circle. At the walls are cherry blossoms that bloom and then its petals are scattered all over. This represents life and death, perfect for this installation called, Impermanent Life. There is no better way to end your trip to Future World at ArtScience Museum in Singapore than entering the Space gallery. Truly a futuristic ensemble it features the Crystal Universe installation, where you will have a sense of the vastness of the universe. Admire both its size and magnitude, this installation uses 170,000 LED and 4D Vision Technology to give you that idea of being closer to the stars and planets. The Space gallery also let you use a smart device that can trigger you on changing the landscape of the universe. Walk into its vastness, be awed. Slip into the narrative of Nature, the gallery that will show you how you perceive creation and life. Here you will revisit the idea on how different things form a relationship to each other. The main attraction of Nature is its waterfall installation. Nature has two installations namely Transcending Boundaries Flowers & People and Sliding through the Fruit Fields. This installation is composed of six artworks but it is hard not to notice its magically installed digital waterfalls. Notice how flowers appear on your feet as you take one step at a time. As you drew closer, see the butterflies around you. A kid-friendly installation at the ArtScience Museum Future World, here you become a source of light. It has a sloping plane that represents a field, it perfectly fits children. Slide and as you hit on digital shapes, they turn to flowers and then grows into fruits. This represents how sunlight help plants manufacture their own food. More than sliding along, kids will learn on how plants make their own food and how fruits are formed. From the urban life outside, you will instantly feel the contrasting world with Nature. Fluttering butterflies and the enigmatic yet soothing waterfalls kick start your wonderful time at the Future World. Slip into the narrative of Nature, the gallery that will show you how you perceive creation and life. Here you will revisit the idea on how different things form a relationship to each other. The main attraction of Nature is its waterfall installation. Nature has two installations namely Transcending Boundaries Flowers & People and Sliding through the Fruit Fields. This installation is composed of six artworks but it is hard not to notice its magically installed digital waterfalls. Notice how flowers appear on your feet as you take one step at a time. As you drew closer, see the butterflies around you. A kid-friendly installation at the ArtScience Museum Future World, here you become a source of light. It has a sloping plane that represents a field, it perfectly fits children. Slide and as you hit on digital shapes, they turn to flowers and then grows into fruits. This represents how sunlight help plants manufacture their own food. More than sliding along, kids will learn on how plants make their own food and how fruits are formed. From the urban life outside, you will instantly feel the contrasting world with Nature. Fluttering butterflies and the enigmatic yet soothing waterfalls kick start your wonderful time at the Future World. *Late Review* Date of Activity: Sept. 26, 2018 Even though I went here alone, I really enjoyed this. In fact, this was the highlight of my SG trip, as would probably be the case for other Marvel fans out there. I consider myself very blessed that I was able to visit this Marvel exhibit because it was open only until the end of September. Special thanks to Klook for having tickets to this because I got to have an affordable and hassle-free experience. No words can adequately describe how the Marvel exhibit exceeded my expectations. In fact, it's not an ordinary exhibit because aside from the effort placed in designing the whole thing, there were interactive areas that made this whole experience more amazing. "Traveling" through the Bifrost, getting to hold a replica of Mjölnir that's as heavy as the one Chris Hemsworth uses as Thor, and getting to experience being Dr. Strange by bending reality or creating a portal are some of the many favorite moments I got to enjoy in the exhibit. If the exhibit were still open, I'd definitely recommend this to everyone, especially Marvel fans. I hope this exhibit would come back to the ArtScience Museum in the future and that they'd also add more sections next time (Captain Marvel, please). *Late Review* Date of Activity: Sept. 26, 2018 Even though I went here alone, I really enjoyed this. In fact, this was the highlight of my SG trip, as would probably be the case for other Marvel fans out there. I consider myself very blessed that I was able to visit this Marvel exhibit because it was open only until the end of September. Special thanks to Klook for having tickets to this because I got to have an affordable and hassle-free experience. No words can adequately describe how the Marvel exhibit exceeded my expectations. In fact, it's not an ordinary exhibit because aside from the effort placed in designing the whole thing, there were interactive areas that made this whole experience more amazing. "Traveling" through the Bifrost, getting to hold a replica of Mjölnir that's as heavy as the one Chris Hemsworth uses as Thor, and getting to experience being Dr. Strange by bending reality or creating a portal are some of the many favorite moments I got to enjoy in the exhibit. If the exhibit were still open, I'd definitely recommend this to everyone, especially Marvel fans. I hope this exhibit would come back to the ArtScience Museum in the future and that they'd also add more sections next time (Captain Marvel, please). This is a fun experience, though mostly for the kids. but we got to enjoy the lights at the end. but disappointed as it was just a short walk and you need to have a good timing as the lights are changing and others in front takes too long to have a picture taken and someone from the museum will shout and let you hurry up. This is a fun experience, though mostly for the kids. but we got to enjoy the lights at the end. but disappointed as it was just a short walk and you need to have a good timing as the lights are changing and others in front takes too long to have a picture taken and someone from the museum will shout and let you hurry up. I suggest that you go on a weekday for less people. We have to wait for 6-8 mins just to have our pictures taken at the crystal thing. Some visitors really did take their time taking Instagramable photos there. Other than that, it was interactive! Bring your kids cos they will surely enjoy there. I suggest that you go on a weekday for less people. We have to wait for 6-8 mins just to have our pictures taken at the crystal thing. Some visitors really did take their time taking Instagramable photos there. Other than that, it was interactive! Bring your kids cos they will surely enjoy there. 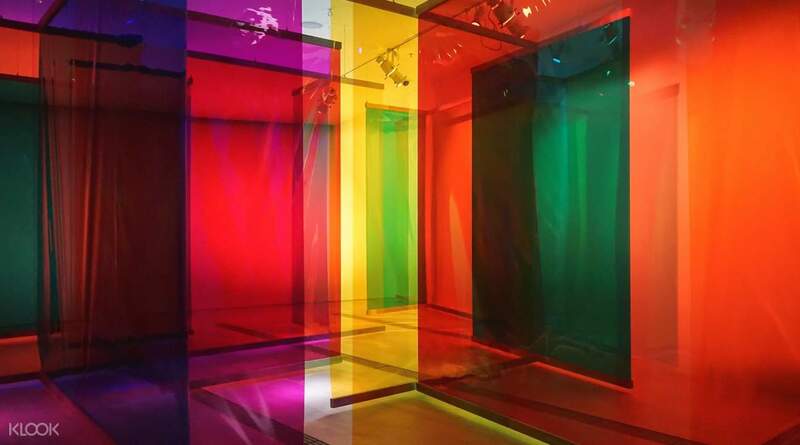 We love ArtScience Museum, especially the Future World Exhibition. We have been here countless times. It’s just such a great place for young children to play, to draw. We felt like a 10 year old child drawing jet, ufo's, birds then scan then and watch them come to life. my favorite was the cristal universe. Would recommend for all children up to teenager and the Adults have fun too. 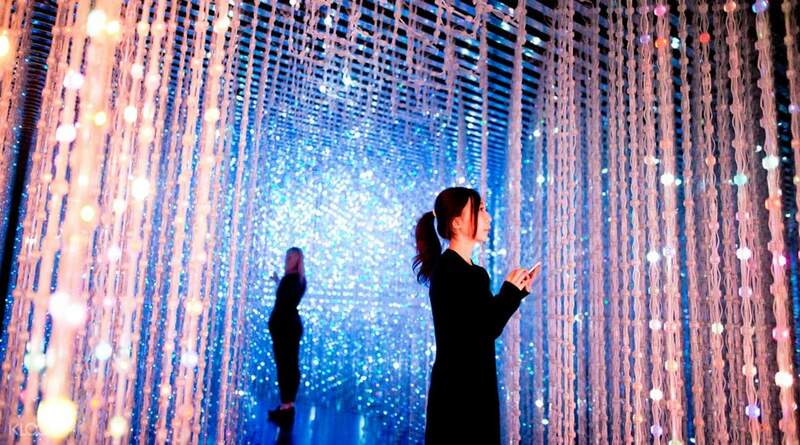 We love ArtScience Museum, especially the Future World Exhibition. We have been here countless times. It’s just such a great place for young children to play, to draw. We felt like a 10 year old child drawing jet, ufo's, birds then scan then and watch them come to life. my favorite was the cristal universe. Would recommend for all children up to teenager and the Adults have fun too. Our visit at Artscience museum was very nice. There were a lot of attractions, if you are looking for instagrammable place in Singapore. This is a must try! Thank you klook for the cheaper price plus hassle free transaction! Our visit at Artscience museum was very nice. There were a lot of attractions, if you are looking for instagrammable place in Singapore. This is a must try! Thank you klook for the cheaper price plus hassle free transaction!